Interior Designers Bangalore – Designing and decorating living rooms, bedrooms, and dining rooms is way different from creating a study room or work-space. Though you can use the same theme when it comes to painting the walls, a lot of things need extra consideration to give a perfect look to your study room. The study room must be comfy and must allow noiselessly study. You should always consider the deepest place in your house so that you can avoid outside disturbance. There must be everything you need so that you don’t have to run through all the rooms while studying. So, to design a pace that is both functional and comfortable, you need to plan ahead of time. Well, no one has the best idea when they are just starting, and that’s why you don’t need to feel bad. The Interior Designers in Bangalore have made it easier for you by sharing some of the best study room designing ideas. We have covered every step you need to follow while designing the space, and if you are looking for something like that only, the below article is for you. You just can’t purchase things and place them in the room to make it your study room. First of all, you need to plan the whole idea of the study room. Why you want it? The answer will solve half of the problem. When you are sure about this why factor you can make a better decision. Planning will include everything related to the room, like whether you want to turn it into a home office or it will be a student study room only. 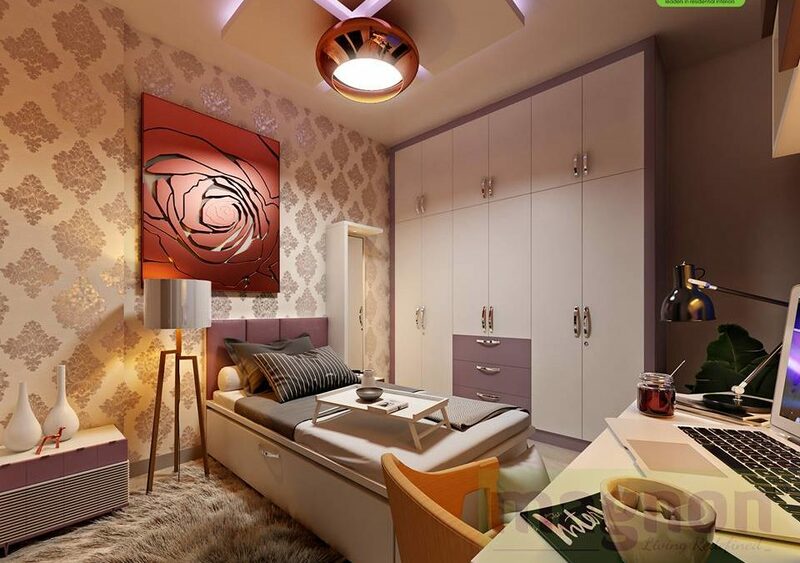 You not only create a study room but design it and that’s why it should reflect your personal style. The theme will remain the same as that of the whole house, but the Interior Designers in Bangalore suggest adding study vibes and your personalized touch in the decor. So, the designing and placing of things must be according to the way you like, and you are comfortable with. Your study room needs a lot of things, and you will feel irritated if you don’t find everything in place. So, start making a list of things you will need. Files, colours, pens, pencils, and other stationery must be purchased in bulk so that you don’t have to buy it every week. Also, add the appliances you will want in your study room like a computer, printer, and anything else according to your requirements. Make sure you plan the layout and decide what will come where so that power outlets could be arranged for electronic stuff. Once you make a separate study area, you can’t keep your files roaming in the whole house. Create enough storage in the form of bookshelves, cubby holes, drawers, and boxes will help you prevent your study room from looking messy. You can also use a part of the study room as a storeroom to keep the files and books safe that you don’t need now. It will prevent your room from appearing overloaded, and your precious stuff will also remain safe. First of all, decide what you need, a table, a desk, or both. According to the number of members who will use the room, you can select the size of the table or desk. In our opinion, only one of them will do good, and for more people, you can go for a bigger size. Now, when you are done with size, the next thing is finding an appropriate corner to place the table. Find an airy and well-lit corner that has a power outlet so that you can study comfortably. Apart from the table, you also need something to sit. Not only for you but for the visitors too. You can get chairs, sofas or anything that is available or with which you are comfortable. The only thing that you need to consider is that it should be comfortable and must not affect your working. You can go for study chairs and a big sofa for visitors. The study room will look more arranged when you have cabinets to hold daily use things. The cabinetry must go well with your design, should be accessible, and must have enough space. According to the shape and size if the room, choose the right type of cabinetry so that it doesn’t make the room appear bad. The reading area will become a kind of boring stuff if you don’t make some efforts to decorate it. Add your favorite things, just because it is a study room, don’t step back. You can decorate the room with souvenirs collected by you on trips. They hold good memories and have a positive impact on your mind. The decorated sea stones will work as bookends and look good too. The Interior Designers in Bangalore also suggest keeping indoor plants if you can take care. Other things that you can add are photo frames, candles, and a beautiful watch. The overall appearance of the room still depends on the size and shape of your decor material, and that’s why you need to choose wisely. Don’t overlook natural lighting. Have windows in the room and use paint that lit your room better. Go for soft natural colours that reflect light and light to your space. Moreover, you can also add a mirror to make the room appear spacious and brighter. Also, get a table lamp for a working area and wall or ceiling mounted lights for the rest of the room. Don’t forget comfort! You are designing a study room, not punishment room and that’s why soft furnishings must be a part of your room. Curtains, soft cushions, rugs, blankets will make it easy to adjust. Interior Designers in Bangalore suggest choosing colors and textures wisely so that the room appears warmer.